Do You Know Anything About Eating Customs? 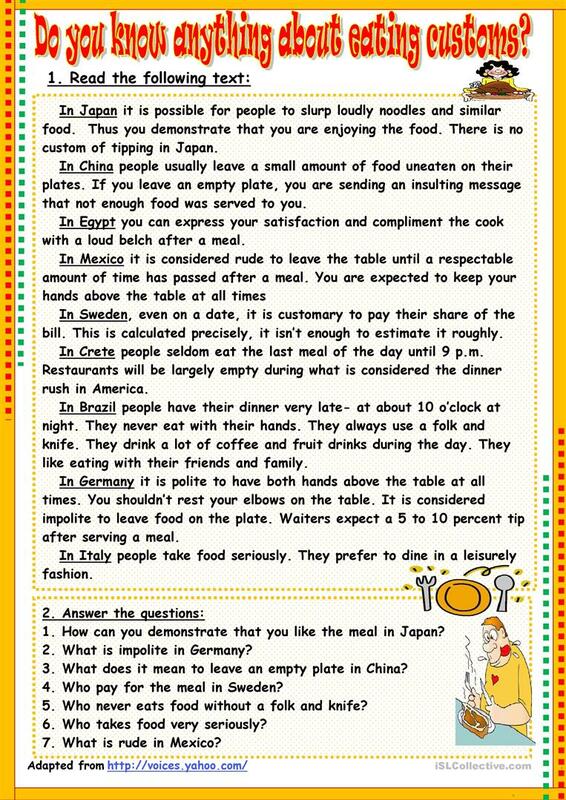 It is the second worksheet about eating customs in different countries. I think you can find some useful information for your students. The worksheet has a key. Thank you!!! The present downloadable handout is intended for high school students, elementary school students and adults at Elementary (A1), Pre-intermediate (A2), Intermediate (B1) and Upper-intermediate (B2) level. It is about the topic and words of Food. The key is provided, too.